In an excursion to find some sunshine to ride in, I decided to enter round one of the Southern Enduro Series in my home county of Dorset. 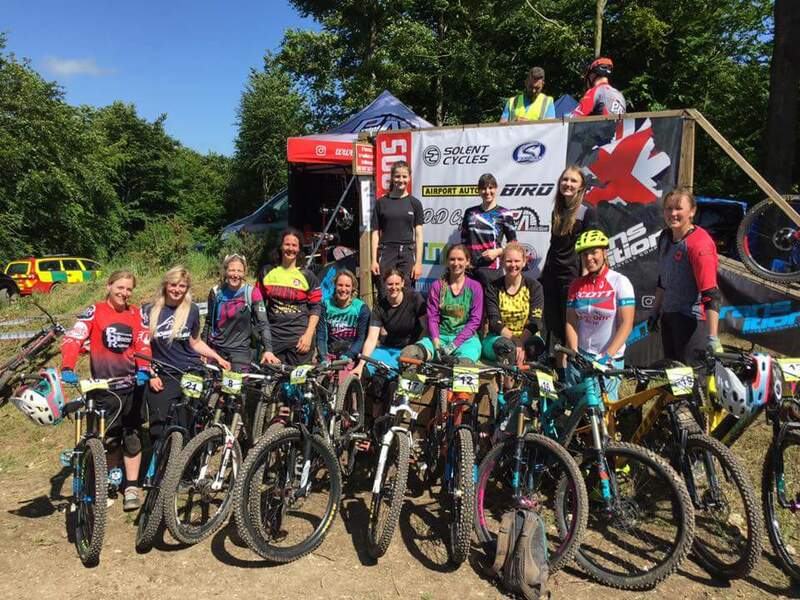 It was certainly unlike any enduro I had ever ridden, even the event organiser agreed that it was unusual due to the lack of peddling required between stages. Because of the relaxed nature of this race, and the quick access to the race village at all times, I decided to use it as for trying out a few new things, including racing without a rucksack, instead, opting for a Raceface Stash vest which fitted a water bladder, and riding in new clipless DMR V Twin peddles. In hindsight given the slippery off camber nature of the terrain here this may not have been my wisest move. Okeford Bike Park, is a downhill and free ride park nessled into the Dorset countryside. 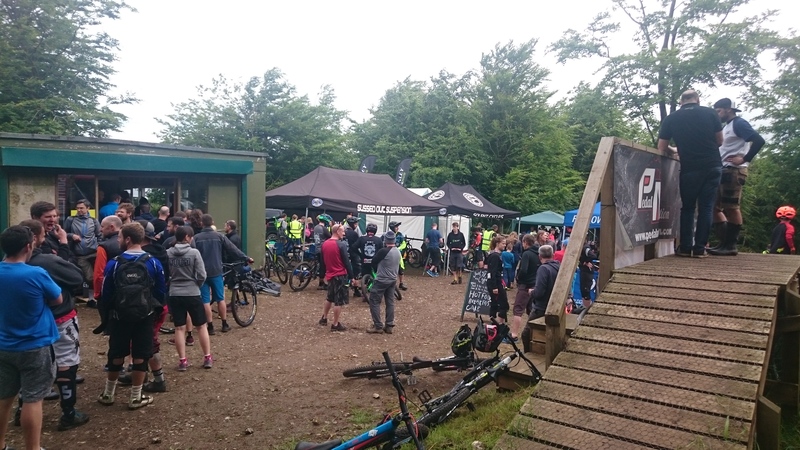 It has recently reopened after a lul in biking uplift and riding to be part of the Southern Enduro Series and looking to cement itself as the top riding location in Dorset. Unofficially there was some practice allowed on Saturday, however due to commitments we were only able ride the official practice on Sunday morning. We arrived at the race village ready for an early registration, and the first thing that struck me was the realisation that stage one started from the race village, there was no long transition or climb to reach it, you just dived straight in. Secondly the distance surprised me, at only 8.6 km the 5 stages, were covered in a short distance, making use of the very well designed Bike Park in the very compact site. Stage Two – This stage made use of two of the existing trails on site; Wiggly woo and Roy. 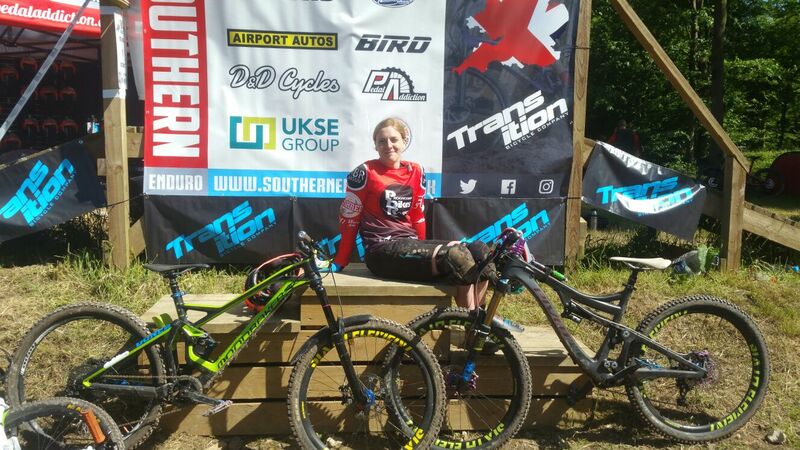 But just so the locals didn’t have the advantage the Southern Enduro Series crew had designed lots of awkward off camber transitions, bus stops and a random steep climb to join the two trails together. Just as the stage was starting to find it’s flow, riders had to navigate around a large tree whose roots created a number of drops, before the trail turned back in to the favourite narrow off camber traverse across the hill. Stage Three – This trail hadn’t got the sun for most of the day and was running sketchy and loose. A fast start to the stage, meant that it was particularly difficult to keep balance once the off camber turns snuck up. After a short stretch the trail became very steep with difficult turns covered in tree roots, often causing the bike to slide sideways down the hill without the rider. And as per the previous stages it finished in a long off camber straight, cutting across the hill. 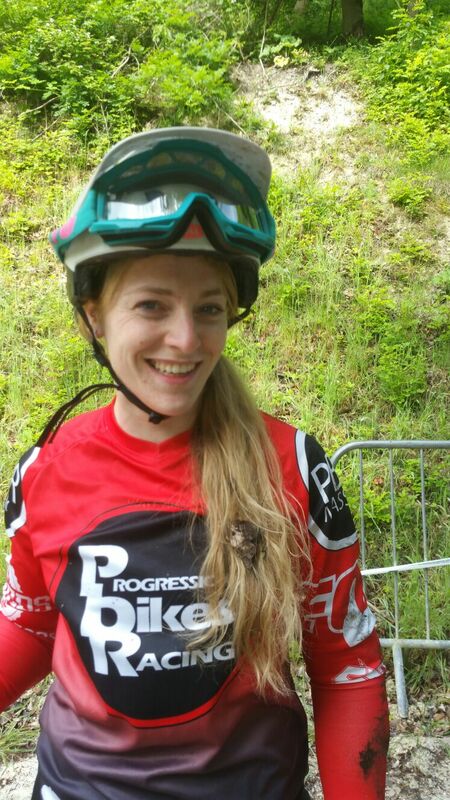 Stage Four – The Devils Darkside is normally a downhill trail, and this stage had some similarities with stage three due to its steepness, but with a couple of rock gardens and drops added in for fun I found it flowed much better, and there were grins all round at the end. Stage Five – To make up the distance this was an identical repeat of stage one. At least by this point I had already ridden it once in practice and once in race so was in a good mood for tackling it a third time. This did however translate to me nose diving over the handlebars at full speed on one rooty section. As you can tell ‘off-camber’ was the flavour of the day, but one of the biggest struggles with this race was the terrain it is on. A combination of chalk and clay, and after a week of heavy rain made it extremely slippery to begin with and claggy (Scottish for sticky) to end. This was nothing like the sticky gloopy mud of Scotland. As a result I spent a lot of time losing my bike off the edge of the trails and struggling to hold the lines. As a result, for the first time ever, I crashed on every single race stage. Despite this I still managed 4th place, only 4 seconds behind the 3rd place, and I am determined to return to Okeford and prove that I can actually ride these trails without falling off.